You may have realized that smart home innovations seem to be everywhere lately, but what does it really mean to have a smart home? At its core, smart home automation is the use of computers and smartphone technology to control items in your home. 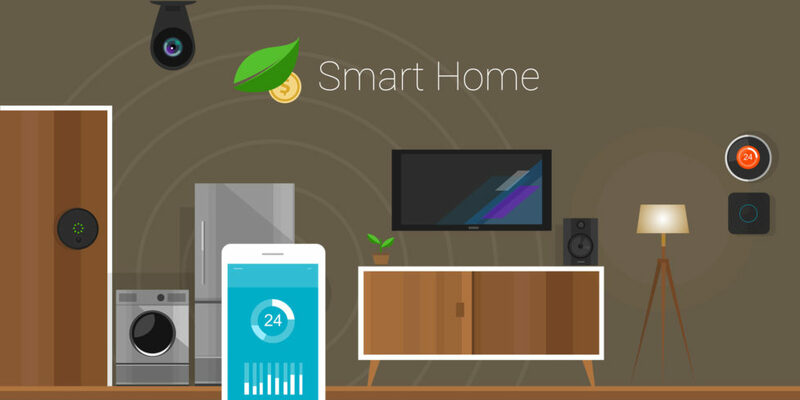 As more smart home innovations find success in the marketplace, it becomes clear that smart homes are no longer something that will happen in our future, it’s happening now, and it’s awesome. This technology used to be something you would see in movies, or in the homes of the impossibly wealthy, but new smart home innovations are now making it possible for every home to be a smart home. What is the Internet of Things(IoT) and why do I need it? IoT refers to anything and everything that has been embedded with electronics, sensors, software or WiFi connectivity so that it can be your car, your phone, your laptop and even you! Yep, if you have an electronic device embedded somewhere in you, welcome to the IoT. And while the IoT may be a new concept, it’s growing larger every day. Before you go all subterranean screaming Skynet is real, it is important to know the Internet-of-Things is more focused on making technology smarter, and not so much about robots taking over the earth. But if you are determined to go into hiding, you should at least check out some of these awesome smart home innovations before you go underground. What is a smart home without a smart hub? If you have several smart home products you need a way to integrate them and the easiest way is with a smart hub. By adding a hub, you can create one space that consolidates power, and connects all of your smart home items in one place. Also, most hubs will have a battery backup to protect all of your smart homes items should you lose power for any reason. While the argument can be, and has been made that software solutions will ultimately trump hardware in the end, for now, a smart hub can help you connect all your gadgets into one convenient system. While these aren’t the newest kids on the block, they are continuing to improve, with options that now include video and fingerprint technology and even smart locks for pet doors, this technology is continuing to find new ways to keep your house safe. Most of the new products can connect via an app on your smartphone which allows you to let people you know into the house even when you are away. Check out our favorite smart lock, the August Smart Lock. A close ally to the smart locks, smart doorbells continue to evolve as they include more options that allow access to new voice and video functionality that lets you see and speak to someone who rings the doorbell even when you aren’t home. 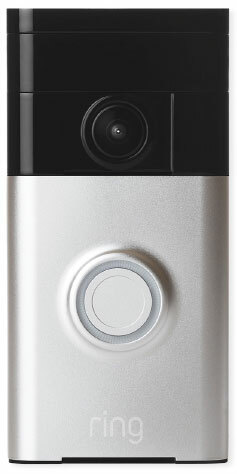 Most of these next generation doorbell require access to WiFi and require you to connect via a smartphone app to use all of the product’s features. If you feel like no one is listening to you, you may want to look into a smart speaker. 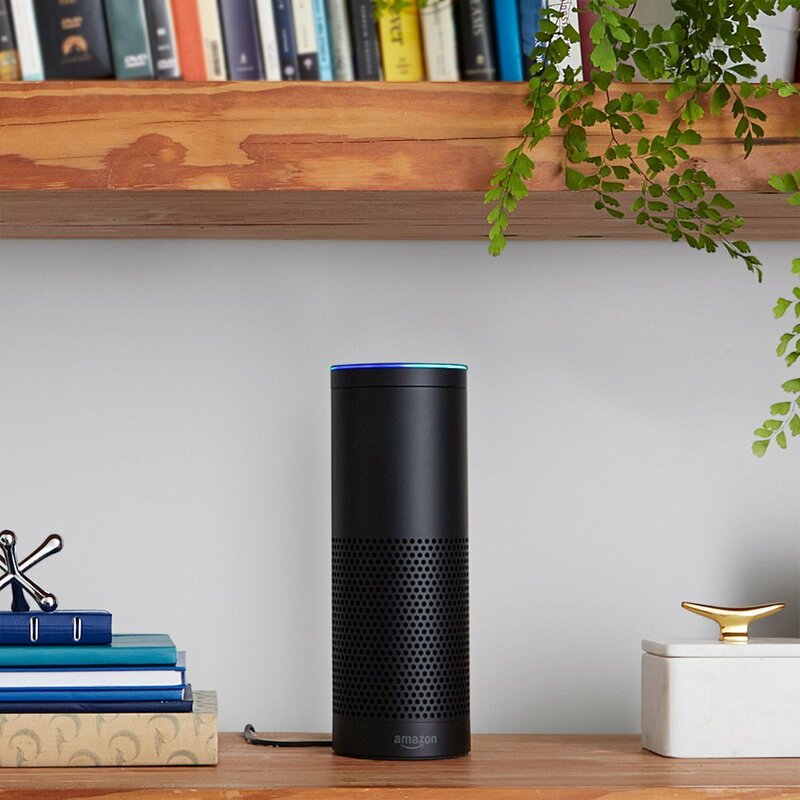 Bluetooth speakers like Amazon Echo can allow you to control other smart technology in your home. So that means it’s probably smarter than your other smart items, but unless you want it reminding you that it’s more intelligent than your doorbell all the time you should probably keep that on the DL. If you haven’t seen your garage door opener since the late 80’s, then this is most likely the right smart home innovation for you. It allows you to open and close your garage door using your smartphone, so you no longer have to worry about where the garage door opener is. Most of them can let you open the door from wherever you are, so you might want to keep your phone somewhere safe, you don’t want to pocket open the garage door. Check out the Chamberlain Garage Door Opener, which allows you to open the garage door with your smart phone. This works best in conjunction with your doorbell camera receiving packages, when the deliver person arrives, let the garage door open for them to leave the package in the garage, then close it again. No more stolen packages! One of the most surprising smart home innovations to date is the WiFi enabled refrigerators that now have built-in cameras to let you see what is in your fridge when you are away. And all those magnets you collected over the years, toss them into the bin, now you can just schedule appointments and leave notes for your family while you are getting out the milk. On door display panels let you share photos, calendars, pull up recipes and even play music. And if you hate going to the grocery, you new super smart refrigerator can even let you order food and send it to your local grocery. 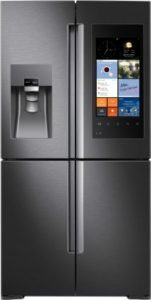 So it may be time to have “the talk” with your current fridge and let them know you just aren’t that into them anymore. Check out the Samsung The Family Hub refrigerator. New WiFi enabled security systems are coming, and they will do more than report an attempted intruder or burglary. This smart home innovation can not only manage threats, now it can detect water and gas leaks, by using a variety of sensors. While WiFi is a concern to some security experts, these new features might win them over. Check out our Home Security Tips & Tricks. No one likes ironing, even if they say they do they don’t. So when a new wardrobe style clothes steamer was unveiled at CES, it was a pretty big deal. With the ability to not only get rid of wrinkles but also odor with no harmful chemicals and the capacity to clean and de-wrinkle clothes in twenty minutes, it should be a big deal. Because no one likes ironing. While we were making our homes smarter, your car went back to school as well. While smart technology has been introduced in the last two model years, some of the innovations that are coming are really amazing. If you thought WiFi enabled cars were cool, prepare yourself to be blown away by what is coming in the future. Things to look forward to including virtual cockpits, gesture control which uses sensors in the dashboard to notice hand movements and activate items on the display and AirTouch steering wheels that will allow you to access functions on the control panel without taking your hands off the wheel. While all of the talk is about how we make things smarter, there are still some things that we need to consider. This industry is growing quickly, and while that is allowing some incredible smart home and car options to come to market, it also means a lot of the technology is new. And with new technology comes updates. Think about your smartphone and how many times you update your OS because of a security issue or other flaw. There is a reason that new smartphones typically launch with one version to only add a later version that corrects the defects in the first version. Now reflect on that with your house. So when you are adding that cutting edge WiFi security system, just be aware that it may have some bugs to work out. That usually involves updates to software or systems to fix issues identified post launch. These bugs may also present a security concern, so as with all new smart devices managing updates promptly is important. Most things are better in the second or third version, so if you do buy smart home innovations that are brand new to the marketplace just be prepared to manage a few system glitches and updates. Things that work perfectly in beta testing may have some issues when they are tested in the real world on a larger scale. But that doesn’t mean you cannot go total geek about how amazing all these new smart home innovations are. So if you squeal like a little girl when you use your smartphone to unlock your door the first time, it will be okay. Just make sure there aren’t too many people around when you do it.